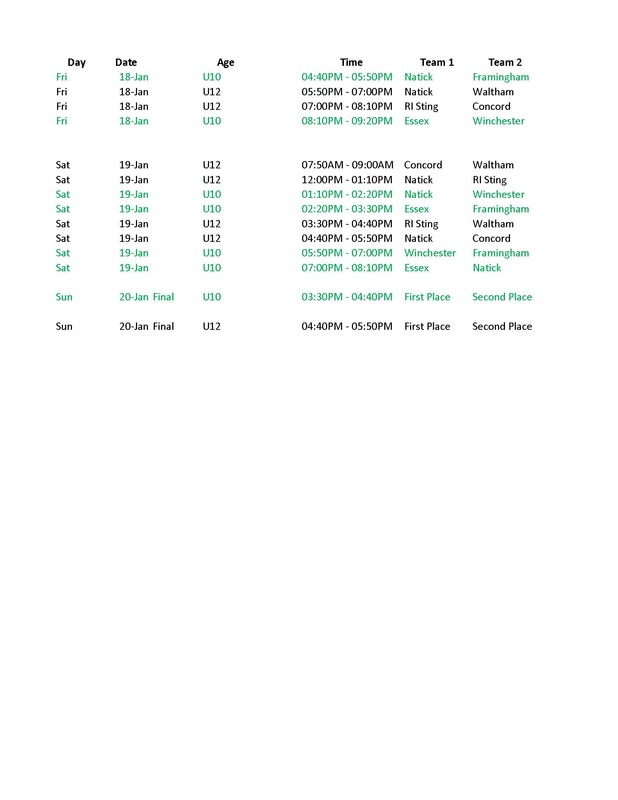 Rink: William L. Chase Arena , 35 Windsor Avenue, Natick, MA. 3. All players must have legal equipment. MOUTH GUARDS are required at the U12 levels. 5. Teams may consist of up to 18 players and two goaltenders. 7. No team may bring down upper-level players. tournament games. One minute long time-out will be allotted to each team in the finals. penalties, match penalties, game misconducts, and gross misconducts.